American Psychologist - Philippine distributor of magazines, books, journals, etc. American Psychologist is the official journal of the American Psychological Association. As such, the journal contains archival documents and articles covering current issues in psychology, the science and practice of psychology, and psychology's contribution to public policy. Manuscript submissions for the Obituaries section are by invitation only. Articles published cover all aspects of psychology. Submissions should be current, timely, and of interest to the broad APA membership; they should be written in a style that is accessible and of interest to all psychologists, regardless of area of specialization. 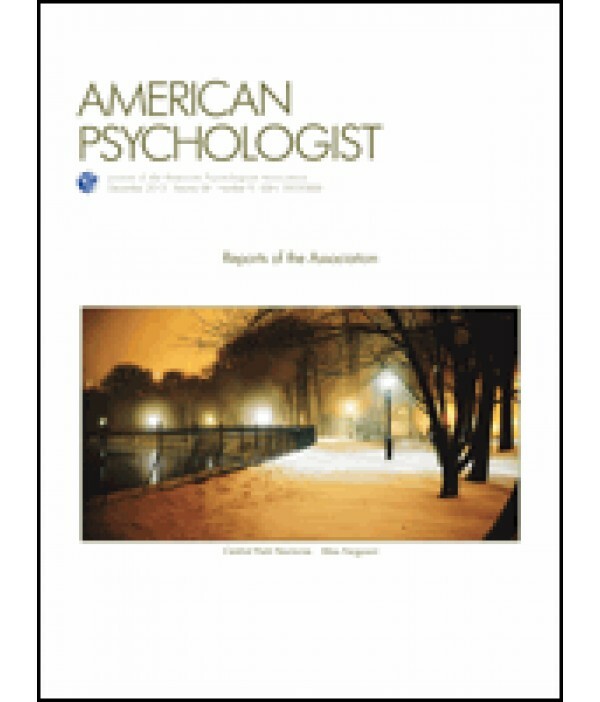 American Psychologist contributions often address national and international policy issues as well as topics relevant to Association policy and activities. The journal does not publish empirical research results that it deems more suitable for a specialty journal, except under special circumstances to be determined by the editor-in-chief. However, papers submitted to American Psychologist may include meta-analysis or some data analysis on salient points where the intention is to support arguments of broad implication in the field of psychology.